What never goes out of style, is enjoyable to the masses, and makes you want to scream? 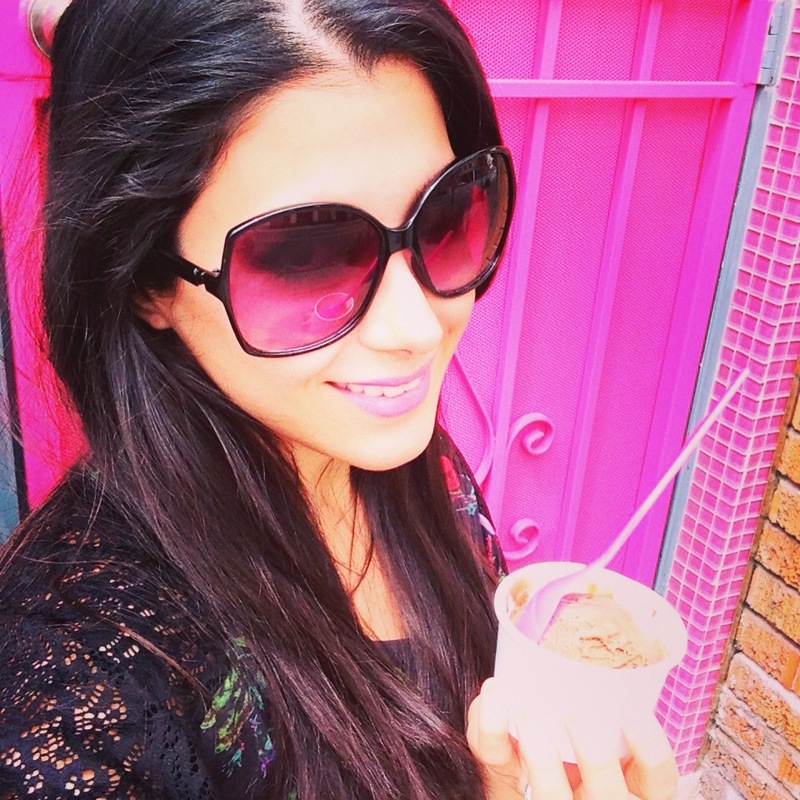 You guessed it – ICE CREAM!!!! 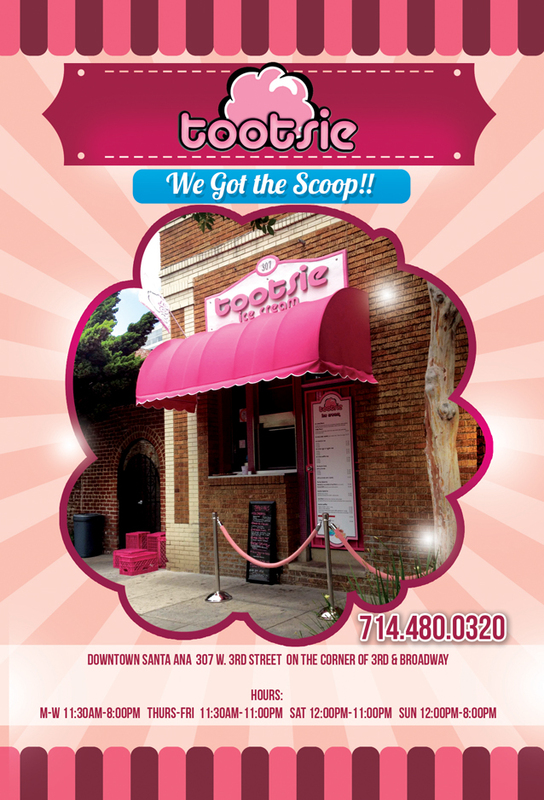 One of my current favorite hot spots is “Tootsie Ice Cream,” a family-owned ice cream shop located in downtown Santa Ana. 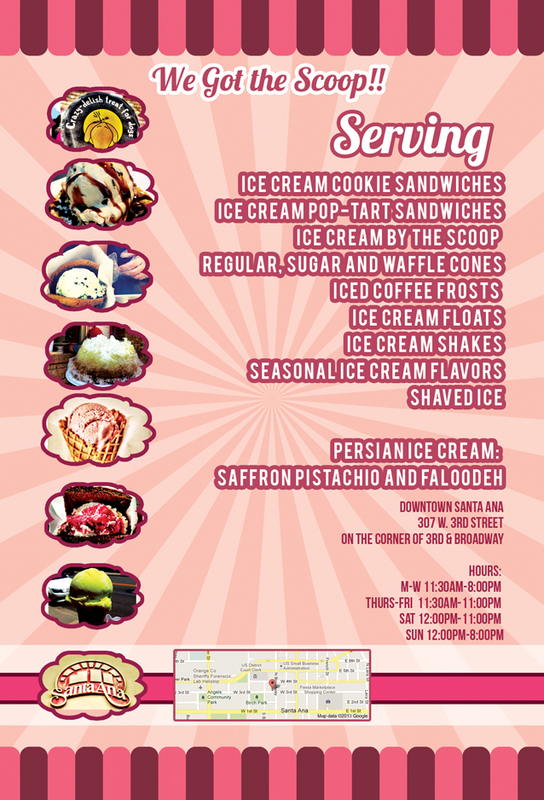 Its urban-hip ambiance, low prices, and high quality make it the only ice cream spot of its kind in Orange County. For all my fellow Southern Cali locals, you MUST stop by and have a taste. Aside from the delicious ice cream, my favorite part about Tootsie is their walk-up window (shown in picture below) where you place your order. It gives me a sense of nostalgia, taking me back to my childhood where I would anxiously await my turn to order from the ice cream truck. They also have the most adorable pink crates as makeshift chairs! Along with having a variety of classic ice cream flavor favorites, Tootsie makes sure to always keep it trendy by rotating new flavors seasonally. And with Southern California’s large Persian population, it’s only fitting that they serve “Saffron Pistachio” ice cream and “Faloodeh.” My current favorite flavor at Tootsie’s is the Faloodeh (shown below) with sour cherry syrup drizzled on top. It hits the spot in the summer heat! “I don’t feel like ice cream” – said NO ONE EVER! However, if you want to add a little diversity to your palate, try their specialty ice cream cookie sandwiches. The ice cream melts just perfectly between the warmth of the soft, chewy cookies that are baked fresh daily, making each bite better than the last. 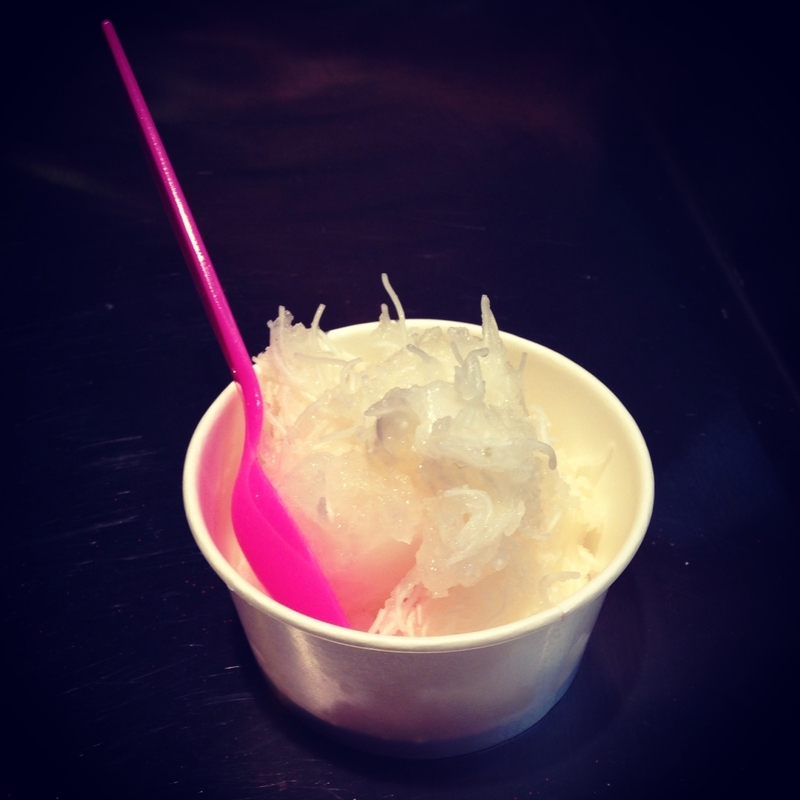 And if you’re still looking for something different, then indulge in their specialty shaved ice – They have a variety of flavors to choose from and tastes absolutely AMAZING! ATTENTION dog owners and lovers: Tootsie doesn’t discriminate. They even serve a special protein-based frozen yogurt for dogs! Gone are the days where you would eat ice cream in front of your dog while they would gaze up at you with their puppy dog eyes wondering if they would also get a special treat. Fun Fact – Tootsie Ice Cream was actually named after the owner’s family dog. 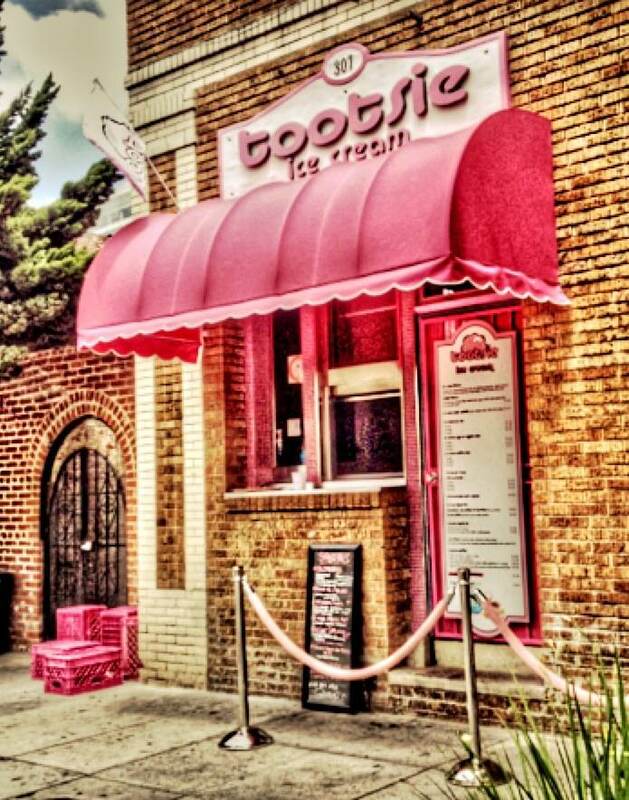 Step up to their window and make sure you “GET THE SCOOP” and the Tootsie experience at TOOTSIE ICE CREAM!